In case you haven't heard, one of the best Nordstrom sales of the year is going on right now! The Half Yearly Sale is on through June 4th and so many items are marked up to 40% off (and some 50% off)!! 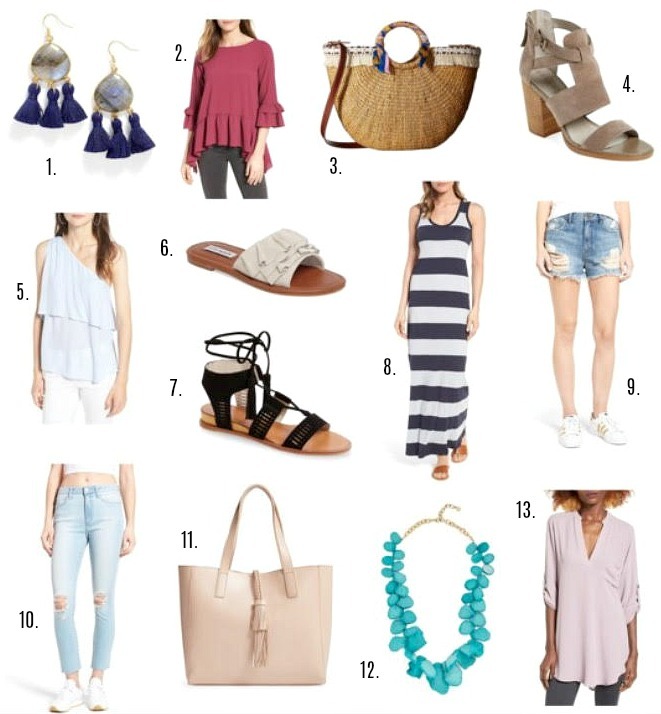 To help make your shopping a little easier, I've browsed the site and picked some of my favorite clothing and accessories. The widget photos below are clickable and you can hover over them to see the price. Hope you are all having a great Memorial Day Weekend!